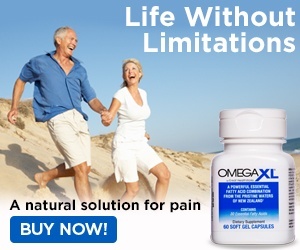 Next review Omega Xl - What a scam! I just called to cancel the auto refill, but they gave me the run around and would not cancel until I had taken 90 days. The ad on TV said to take 2 a day but he said no you have to take 4 a day. They want me to pay for another month, they sent enough for 2 months but not 3 months. Review #363090 is a subjective opinion of cvoyles903. Has anyone posting about this company ever thought of contacting your credit card company and file a complaint. I tried to cancel several times. They'll send me a free bottle because I don't get the next bottle for 3 weeks late, then have to start over. Then they tell me I might have to take as many as 8/day for it to work! WHAT??? Too costly. Tried to call today to cancel for the 3rd time, phones service is having technical difficulties. Went online to send an email, so we'll see if they cancel the shipment this time! No need to get upset understand that they are doing there job. If you don't want it just say NO stay calm they will cancel.